Happy Saint Nicholas day! Did you get any treats in your boots? I hope you enjoy this magical day and you are doing fun things with your loved ones. 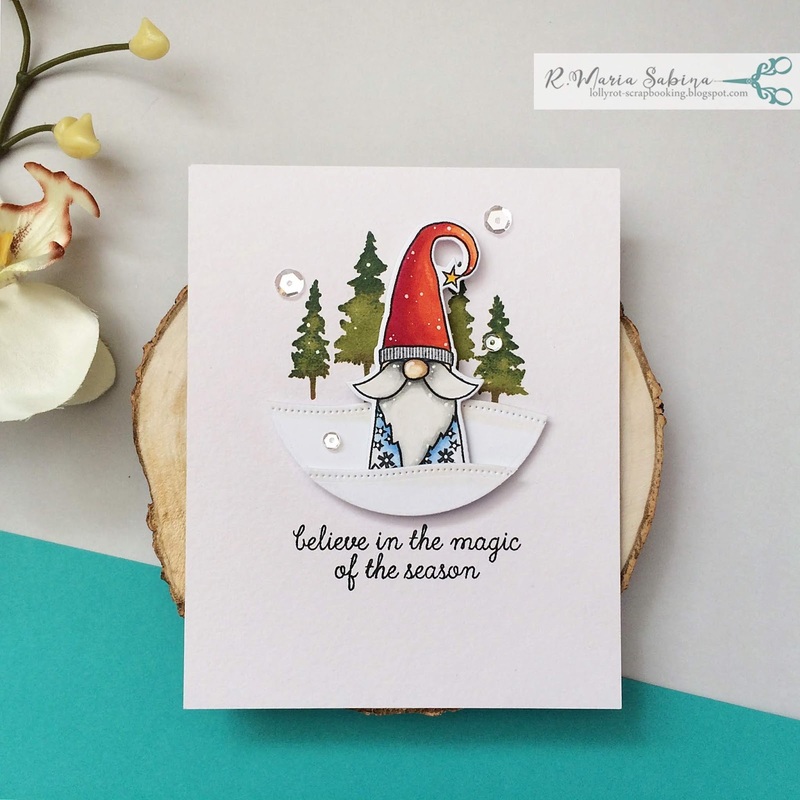 We all know how busy december can be and if you want to send some Christmas cards,then is better to have your cards ready to go.I have a simple card I made,using the cute ''Holiday Gnomes'' stamps from Reverse Confetti. For coloring this cute gnome,I used the NUVO markers from Tonic Studios If you are into coloring stamped images,then these markers are really great for that. I hope you enjoy this quick and CAS design. If you want to see more cards and other things I do,please check out my Instagram. What a beautiful card! Love the trees in the background. Nicely done! Happy Holidays to you and yours! Thank you Christine! Happy Holidays! Aw very cute! - love the fairy lights and scruffy.Thanks for sharing.